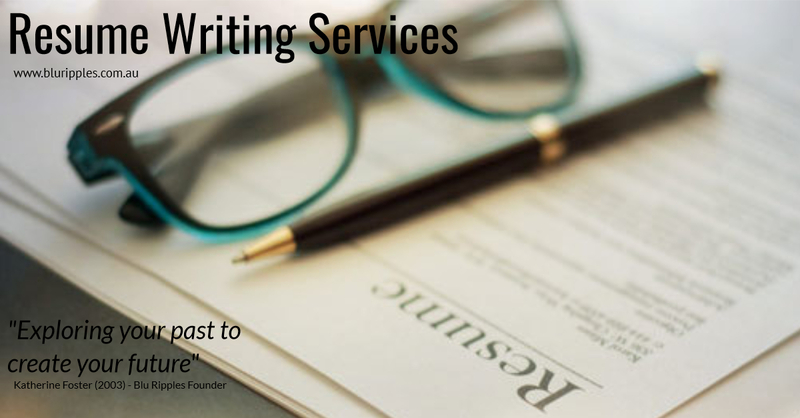 Blu Ripples Resume Writing Services recognises the difficulties, frustrations and time constraints clients face when creating, updating or refreshing their professional Resume or Curriculum Vitae (CV). That is why we are passionate about providing a quality personalised Resume Writing Service. From our perspective, the key element to creating, updating or refreshing your Resume or CV is to remain objective, to provide quality tailored documents that meet the individual needs of prospective employers and recruiters whilst accurately reflecting the true essence of you. Working closely with our experienced professional Resume and Curriculum Vitae Writer, we will schedule a 1 on 1 verbal Resume consultation in which we will delve into and explore your past in order to create your future. To ensure that we have an accurate in-depth knowledge and understanding of you so that we can accurately reflect YOU in your Resume or Curriculum Vitae (CV). Our founder, Katherine Foster, is a pioneer Resume Writer; who has systematically, collaboratively and respectfully championed, inspired and motivated thousands of clients to believe in themselves and fearlessly pursue their professional goals by creating empowering Resumes and Curriculum Vitae’s (CV) since 2003. Katherine possesses qualifications and experience in Human Resources, Counselling, Career Education and Development; is a Professional Member of the Career Development Association of Australia (CDAA), Member Australian Counselling Association (ACA) and Australian Association for Psychological Type (AusApt). The depth and breadth of our clients is unlimited. That is, Blu Ripples has created, updated and refreshed professional Resumes and Curriculum Vitae’s (CV’s) for high school students, youth, graduates, mums and dads, adults, professionals returning to work after a period of leave, expatriates, trades professionals, team leaders, supervisors, frontline, mid managers, executive and global management across a multitude occupations, industries and workplaces. The above comprehensive summaries illustrates the diversity of clients Katherine has authored Resumes and Curriculum Vitae’s (CV’s) for since 2003. Career Counselling – Employment Contracts – All That Glitters Is Not Gold! Blu Ripples is a nationally registered Career Counselling and Consulting practice. At the cornerstone of our practice is the passion to help people through life’s ripples; to add value, to challenge perceptions, to offer inspiration, support, encouragement and guidance through life’s ripples. We achieve this by providing all clients with a safe, caring and supportive environment in which they can identify, explore and release their thoughts, feelings and emotions; thus, in turn allowing our clients to confidently move forward in a direction and manner that is appropriate for them. Copyright © 2019 Blu Ripples.